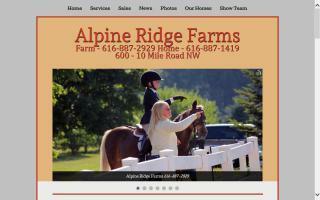 Horse Boarding Stables & Livery Yards Directory - Page 5 - O Horse! Full care pasture boarding featuring a giant loafing shed, trees, grass, 24/7 hay access, arena, tack room, trailer parking, and 24/7 owner on site. $250 per month. Private Western & English riding lessons offered. Beginners to advanced, ages 6 and up. Specializing in Western speed events. Safe horses and family friendly. :) Very affordable rates. Where the fun begins and learning never ends. We are located 10 mins north of Grand Rapids, Michigan. We offer: lessons year around for beginner to advanced riders. Full boarding and horses for sale or lease. I am a certified ARIA Hunt Seat Level II instructor and am insured. We are a family owned and operated barn with grass turnouts. We do not turn horses out together - one to a paddock. Fly system and close to an equestrian park. Full board only. We feed 3 times daily, have a practice arena which is lighted 24/7, and love to go to shows. Amber Glen is a small boarding facility located in the rolling hills of Mount Albert, just 45 north of Toronto. We are especially proud to offer a relaxed environment to enjoy your horse... no barn politics, no gossip, no drama... and nothing to hide. Just a beautiful place to hang your saddle and enjoy your horse, who will be treated as special as ours are. Our heated Dutchmaster barn contains oversized rubber matted stalls, heated wash stall with h/c water, cozy breakroom, attached 80x160 indoor arena, oversized outdoor sand arena, and a private hacking field (15+ acre). All ages and disciplines welcome. Full or partial board available in north Cape Coral, Florida. We have a 12 stall barn with 14x14 foot stalls. There is a pond and 15 acres of pasture for daily turn-out. Each boarder has a private tack locker and access to our round-pen and schooling arena. We live on the premises, so your horse's safety and security will be monitored. This beginner's horsemanship camp is for young campers (ages 6 - 12) who are interested in learning horsemanship and riding at a beginner level. Campers will learn grooming, tacking, handling horses on the ground and under saddle, a horse's body parts, veterinary care, farrier care, first aid, conformation, colic, how to read a horse's body language, safe trail riding, and much, much more in a friendly, comfortable, and caring learning environment. Please contact Monique at the phone number or email address above for a camp application. The fee for this camp is $350.00. Visit our boarding facility, featuring plenty of amenities for you and your horse, and direct access to the Olmstead Loop and the Western States Trail System. Are you looking for a natural boarding facility for your horse? A place where your horse can just be a horse? A nice peaceful location where you can escape all the stresses of everyday life? Then this is the place for you and your horse! We are a small, quiet, private barn located in Stillwater, NJ. We can provide a safe and happy home for your horse(s). If interested, please send us an email or call us.